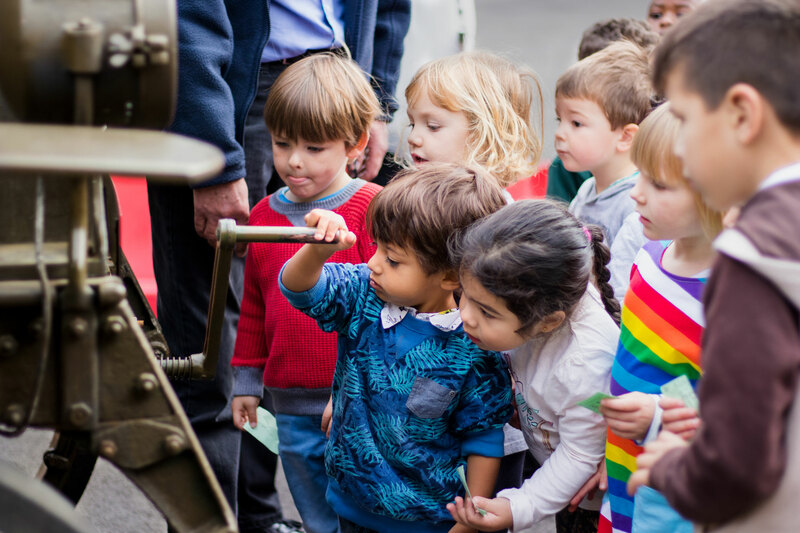 The Museum’s extensive range of learning programmes, which includes work with families, schools, communities and young people, provides exciting opportunities to make connections between transport’s past and the present-day lives of Londoners. None perhaps more so than the Battle Bus Project. Since the restoration of the B-type bus number B2737in 2014 the Museum’s Learning Team has been delving deeper into the story of London’s buses during the First World War, working with young people in Tottenham and Camberwell to bring the story of the Battle Bus back to the communities and streets of London where it all began. Vicki Pipe, who is our Family and Community Learning Manager, describes the projects in more detail. In 1914 Emily Lee Graves married William Ely. During the war years Emily worked as a Clippie (a female bus conductor) on London’s B-Type buses. It was the first time women were allowed to work on the buses, and Emily was one of 3,500 females who took up the role. In May 1917 William was tragically killed fighting in France. Emily continued to work as a Clippie, raising a small child at the same time and later marrying a local tram driver Hubert Pearson. Students from Northumberland Park Community School in Tottenham who learnt about Emily’s story visited the grave of William Ely during a trip to Fosse No. 10 Communal Cemetery in France. Maggie Bonfield, William and Emily’s granddaughter who grew up in Tottenham, met with student Serkan Ahmed after their journey to find out more about the group’s experience and to thank them for sharing William and Emily’s story with others. When war broke out in 1914 1,000 buses were requisitioned by the War Office from across London, including Camberwell Bus Garage. Life on the home front in Camberwell, as with all parts of the country, was challenging. Everyone was expected to contribute to the war effort including children, who were even encouraged to give up their pocket money to help. Young people worked hard during the war knitting scarfs and socks for soldiers, with some as young as 12 taking jobs in factories or on farms. Approximately 600,000 children went to work instead of going to school. Young people from Lyndhurst Primary School in Camberwell worked with an artist, actors and the Battle Bus Learning Team to discover what life was like growing up as a young person during the First World War. They shared the stories they discovered through the creation of artwork inspired by children’s comic books from the time. Their work is now on display in Camberwell library, where more young people will learn about the ‘Home Front Heroes’ of London from 100 years ago.